Did the weatherman miss this? It's glazing outside-- chance of sleet, freezing rain, mist! Maybe it's time to plan some sewing! How 'bout a retreat? Our spring retreat is scheduled for March 15-17th. Again we will be at the Heartland Community Pavillion Friday 10 AM until 3 PM on Sunday. Plenty of time to sew with friends and more! Come anytime after 10 AM on Friday. Lunch is on your own Friday but we will provide meals Friday evening through brunch on Sunday. Demonstrations and more will keep you inspired with doorprizes, games, and more! $175 for the weekend. Lodging is not provided so sleep comfortably in your own bed or try out one of our hotels for the weekend. Sign up now online! Can't do the whole weekend? How about a day pass? Call for more info. New from Darlene Zimmerman, this panel features butterflies showcasing prints and solids from the 30's. 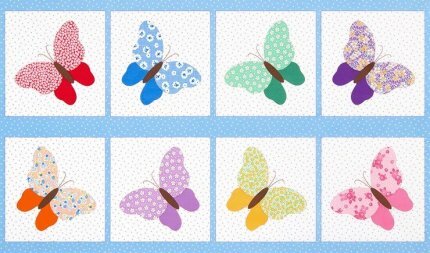 Free pattern showcases a way to use your collection of 30's prints to make a sweet quilt! Remember our Klimt panels last year that featured digital reproductions of great paintings? 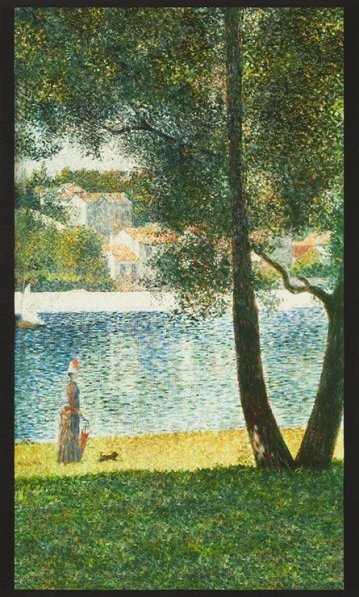 This year Robert Kaufman brings us the artwork of Georges-Pierre Seurat, a French post-Impressionist artist. We already have several coordinates that blend with this line and another panel depicting the Eiffel Tower arriving soon. Love the vintage look? We have many new bolts that you will love!